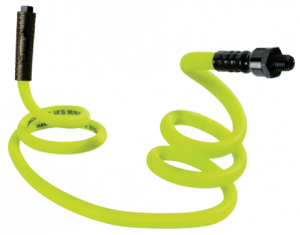 Home » Flexzilla Pro Air Hose: Unleashing a flexible monster. Looking for an air hose that has zero memory and lays flat, even in extremely cold temperatures? Also need it to be kink-resistant under pressure? Impossible, right? Well, think again. Flexzilla is the new air hose king. 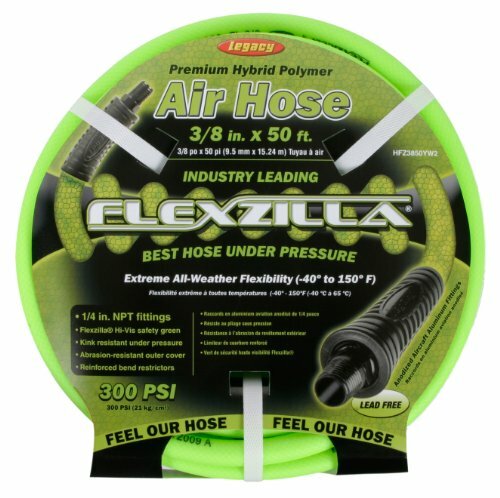 Created with Hybrid Polymer Composite materials, Flexzilla redefines the flexible air hose category. This game-changing design has passed extreme all-weather testing and is proven best in class for flexibility, even in sub-zero conditions to -40C. The product also offers rugged zero memory abilities, allowing the hose to lay-flat so it won’t work against you during operation or when coiling after use. With superior flexibility for tight radius bends, Flexzilla air hoses are engineered for use in environments where rubber hoses are just too stiff. To add to these great features, Flexzilla allows for field repairs in seconds. By using specific anodized aluminum fittings, a user can easily repair a damaged hose or splice two hoses together in just a few seconds. You don’t have to get four or five different tools out to do it, either—just push the hose onto the barb fitting until the hose reaches the threads, and then slide the bend restrictor to the threads on the fitting. Just use a wrench to tighten, and you’re done. It’s that simple. Using an air compressor for any job just got easier with this air hose: it will finally work with you, not against you. Here are some of KMS Tools most common stocked sizes. 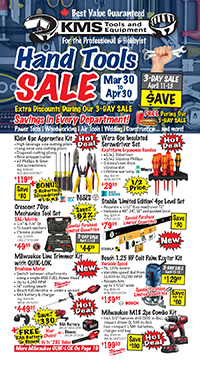 This entry was posted in Air Compressors, Air Tools, Archives, New Tools and tagged Flexzilla by Chris. Bookmark the permalink.